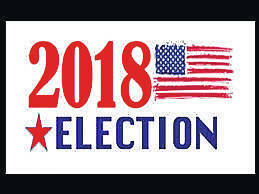 BUCYRUS — Early voting is available at the Crawford County Board of elections in Bucyrus. You may also apply by mail. We have a form you can request or just write a letter giving your Crawford County address, where you want the ballots mailed if it is a different address, your date of birth, the last 4 digits of your Social Security number or your driver’s license number, the date of election, a statement that you are a qualified elector. Please sign your name. Absentee balloting by mail ends Saturday, May 5, 2018 at noon. Absentee balloting in person ends Monday, May 7, 2018 at 2 p.m. Our office will be open until 2 p.m. on that day for absentee voting. The board of elections has moved across the street to 112 E. Mansfield St., in the lower level of the County Administration Building. Call 419-562-8721 for more information.